When people decide on renting out a property they probably think of paying to advertise on websites like Owners Direct or Holiday Lettings. A listing site charges you a set fee, usually annually, to advertise your property on their website. You do all the work to manage the ad; you write the copy, provide the photos and upload it all to the site. You also keep the availability calendar up to date (and this is important to keep your property higher up the ranks) and manage all your bookings. They don’t usually take commission, so in return for your hard work in creating your ad and keeping it up to date, you get to keep 100% of the income. These sites often have massive international exposure, but unfortunately this also means massive competition for your property so you must make sure yours stands out by giving it a unique selling point (USP). Lately, the big listing sites such as Holiday Lettings have introduced a free listing model, whereby instead of charging you an annual fee, they take around 3% of each booking from you, plus add on a bit to the guest. This can be a really cost effective way to encourage guests to make an instant online booking – something that many holidaymakers like to do. From the guests point of view it is more secure to book this way as the money is held safely in an online account until their holiday. However for owners who need regular cash flow it might not be such a good deal, since the balance payment is not released until 48 hours after the guests check in. Presumably this will help cut down on fraudulent owners, but I can see occasions arise where less than scrupulous guests make a complaint, and then will the owner still get paid? It’s still early days for this system so it will be interesting to see how it all develops. There are many different kinds of Rental Agency so it pays to compare a few to see what you are getting. Some may include “property management” so your cleaning and changeovers are handled by them, but in general Agencies will do all your marketing, often take your photos and will probably handle all your booking enquiries and payments in return for a % commission on each booking. This model can be beneficial as it means they work hard to get you bookings – after all, if you don’t get bookings, they don’t get their commission! Many Tour Operators offer self catering accommodation like private villas and as well as contracting their accommodation from Agents, some will also do contracts with Owners direct. A Tour Operator will agree a “contract rate” which they will pay you for each booking, and will generally want to take exclusive rights to your whole season. Even though your contract rate may be quite low they have many competitive advantages, not least that guests may still prefer to book with a Tour Operator for the financial protection they offer. Also they will often have local support in the form of an emergency number or resort rep who can take the pressure off Owners a little if things go wrong. Depending on your contract, you may still be able to take your own private bookings – some allow a certain number of “Owner’s Weeks” per season, or they will release all the leftover weeks back to you after a certain cut off date. If you use a property management company you may also find they offer a marketing and rentals service, again in exchange for a set % commission or some form of annual management fee. I have seen some excellent example of this, where the property management and marketing are combined, and it can give peace of mind for absent owners to have one point of contact and a trustworthy company looking after their property. There is also the option of getting your own website for your holiday rental, and this is something we wholeheartedly encourage here at Rental Tonic. There are so many advantages to having your own website (see some of them here) but the main benefit is that it’s your very own piece of Internet Real Estate and really can become the workhorse of your business. So what about niche marketing? You may have heard us talk before about the benefits of finding a niche to focus your rentals on, and no matter which of these options you choose you should still have your sights firmly focused on your ideal niche market. Indeed, as well as mass-market websites there are rental companies within each of the categories above that do focus firmly on a niche market or speciality holidays. Rental Tonic work closely with specialist family holiday company Tots to Travel, so for the villa in our case study we were able to get him a permanent listing on their award winning website just as soon as he had been approved to meet their standards (which he managed after working with us). But we would also advocate mixing up your ads with a combination of options – more so in the first season to get things going and see which ads work and which don’t. So what we also did was create paid listings on two major holiday rental sites (one much later on) and he also chose to work with another specialist agency. How did this strategy work out? So just to recap on our Case Study, our owner contacted me in December for help with his property. He had a House Call and Bespoke Marketing Remedy in place in January and then took a couple of months to redecorate & repair the house over February and March so that photos could be taken in Spring and the first listings made by April. He was lucky to get an almost immediate booking when the house first went live, and by July he had a total of 9 weeks booked. This amounted to bookings of some £12,000 pounds and even after investing around £5,000 back into repairs and safety improvements, he is now seeing an excellent return at only two thirds of the way through the season. If you now also find yourself wondering where to advertise your holiday rental for the next season, or even where to begin with marketing a rental property then do contact us today for more information and a free remote assessment of your holiday property. 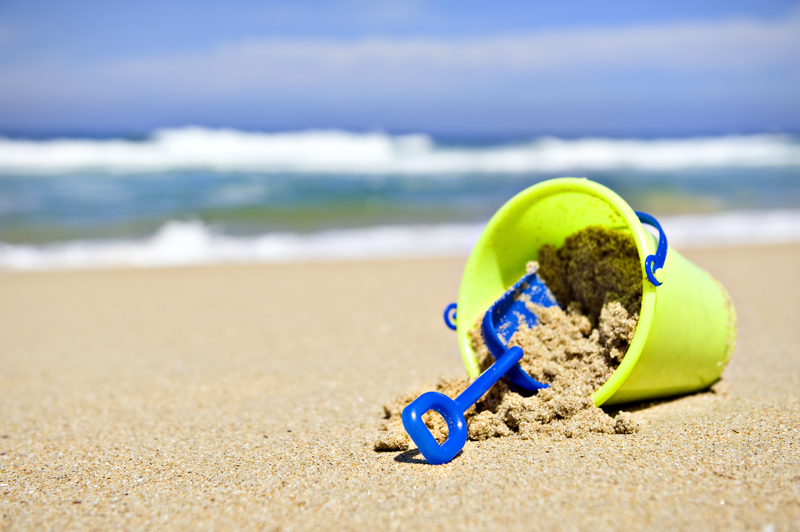 The 2 Pillars of Running a Holiday Property from Afar Security Deposits – do you or don’t you?